The TRAK Files Episode 6. Better Late than never I just Realised I had not shared this episode of "The TRAK Files" on my Blog yet. so here is Episode 6 which came out in May this Year. Episode 7 has been put on the back burner for now due to New projects I have been doing and the needs of TRAK kayaks, though it will be out in the next year. Recently I had the privilege of being invited out to the Bay of Fundy Sea Kayak Symposium by Christopher Lockyer'. 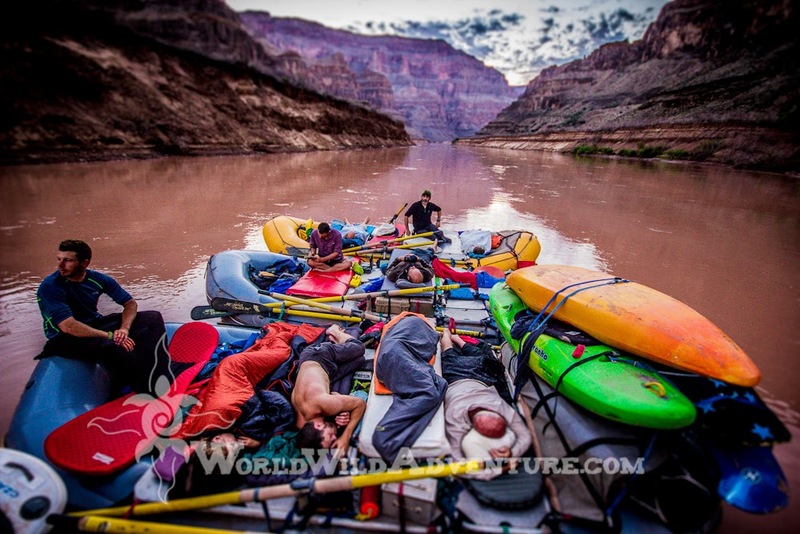 My main duty was to deliver a talk on the Recent Grand Canyon By Sea Kayak trip that we completed on new years day this year (READ ABOUT IT HERE), and to help Coach and the symposium. 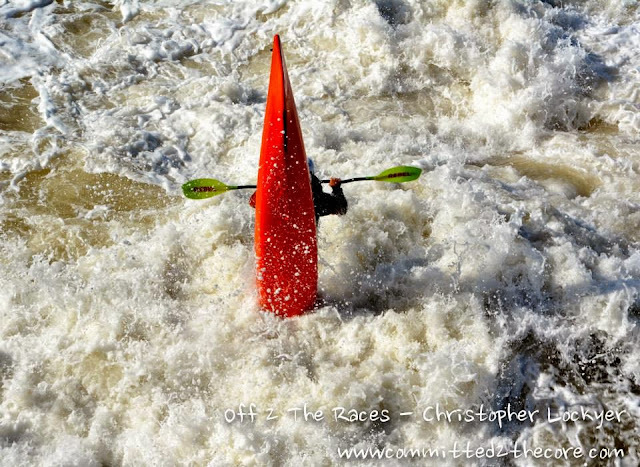 Though I also got involved in a fun project to paddle about for a week and film/promote some of the highlights of the area. I was to Join Chris, Matt Nelson and Justine Curgenven on this super exciting adventure. Day 0 had me arriving at Halifax airport and meeting Chris and his Family for the first time, later that night I was re acquainted with Justine and Matt and then driving all the way down to the Southern Bay of Fundy to to stay with Chris parents in there old 400 year old house for the night, it was about 3 am when we arrived. we settled into a short nights sleep. Day 1 was Brier Island. After thanking Chris’s parents for there wonderful hospitality we headed further south to catch the Tidal Races around Gull Rock that pokes out from the tip of Brier island where the tide pushes over a shelf of rocky reef and creates a long swath of amazing waves to Surf. it was a stunningly beautiful day and we ended up with two TRAK Kayaks out there, Justine and Matt took turns at playing in one TRAK and I had the other. the features got surprisingly big and there was endless fun to be had, however a swim would result in a quick journey into the middle of the Bay of Fundy if you were not able to sort yourself out. after a good 4 hours of playing, we meandered our way back to the car with ear to ear smiles and fond memories of ripping down waves and watching others do the same. That night we headed to Chris’s Parents in Laws house, were we had a great fest of Scallops and lobster Chowder (as they were Lobster Fishers. All I can say is that east cast hospitality is second to none. Check out more info on the TRAK Seeker Performance Folding Kayak, A Real Sea Kayak In Your Luggage Here. Day 3 had us and four boats loaded up in a Lobster Fishing Boat heading out to an offshore reef to find whales, and did we find whales? yes we did. we enjoyed some 3 hours of paddling with and seemingly playing with humpback whales, who were instantly curious about us and the Kayaks. numerous times they would dive only to come up directly under our kayaks, the younger of the two would loll on its back and waving its pectoral fins and and almost asking us to scratch its belly. at one point the larger whale came up between the kayaks and the fishing boat and lifte it’s head straight out of the water to look at every one. what a day. at the end of the whale encounter we went for a site see on the way home and found a couple of new tide races that seemed to be playable, though unfortunately we had no time to try them out as we had to get back to Chris’s place that night. so again we where back in the car with boats on the roof, and driving 3 hours back north. Day 4 Had us on the Shubie (Shubenacadie) River, on this river the tide pushes up it causing a tidal bore and reverse rapids, and we were going to have fun today playing and getting a feel for the river before the next two days of coaching clients on it would occur. All I can Say is surfing a chocolate milkshake is good fun and it brought back memories of the Grand Canyon Trip I had just come off a week earlier, Read About It Here. It was tricky to catch these sporadic waves, they would start as a ripple and then suddenly turn into a wave train, and you needed to stay at the very front of this if you wanted to surf for long as the back ones quickly die off. That night other Coaches turned up, Sean Morley, Paul Kuthe, and Rowan Gloag, and we all moved into coaches house down by the put in for the Shubie river. Day 5 Had us all on the Shubie with Clients, though Justine and I were on the power boat attempting to film, unfortunately the day was not quite as good and there was not to much epic surfing, however the students and coaches got a good feel for it that promised tomorrow would be great. Day 6 had us all back out in the Chocolate river and man was the surfing epic, I was so tired by only half way down from surfing so hard that it felt like my hands were going to fall off. I had great fun pushing hard with Nick Cunliffe as we where both paddling Gemini Sport Plays from Valley that day, and it seemed to me they where the best boats for the job, though Justine was also getting epic rides in her North Shore Atlantic LV. Despite the exhaustion the waves and the day just didn't seem to last long enough, however the Coaches where in for a surprise. Chris loaded us all up and took us to the Whopper in Walton. This feature happens on the outgoing tide, and starts of as a shallow V wave under the bridge, and builds to a double retentive wave, then into a huge boat eating hole. the challenge was to see who could get the gnarliest ride in thick of the nastiest of stages in the Hydraulic (hole). This ended in some amazing ends being thrown and some lumpy rides with very little control being had, but boy what fun and what potential for Sea Kayak Freestyle. Here is a little Vid Chris put together on the feature. Off to the Races Episode 1 - Walton Whopper from Christopher Lockyer on Vimeo. Day 6 had us heading back down south to the Venue for the 1st Annual Bay Of Fundy Sea Kayak Symposium in Lower Argyle, the event was held at an amazing spot right on the water called Ye Old Argyler, from the beach endless coastline and islands were accessible, and via the roads we could find areas to suit all courses and weather conditions, and Idyllic place for a Sea Kayak Symposium. We all settled into our new Coach house and headed down to the venue for Briefing, meet and greet and coach dinner, it was wonderful to see how much of a turn out showed up for this event with more than a hundred people present. too soon it was all over and we were all saying good bye and heading back to the Halifax Airport. Next on too Germany and the KanuMess Expo, then to the UK for the Sea Kayaking Cornwall Symposium. Here is a great blog post that I was made aware of, the points covered in this blog post are simple truthful and powerful. these points are the key to adventure therapy, life is not about being comfortable but finding acceptance in discomfort so you can live the life you want to. Think about the major problems in your life — from anxiety to lack of regular exercise to a bad diet to procrastination and more. Pretty much every one of these problems is caused by a fear of discomfort. And most people don’t like discomfort. They run from it. It’s not fun, so why do it? Amazingly, the simple act of being OK with discomfort can solve all these problems. This is a discovery I made a few years back, when I was trying to change my life. I started by trying to quit smoking, but I hated the feeling of having an urge to smoke and not actually smoking. It was uncomfortable to resist that strong urge. My mind resisted, tried to make up all kinds of rationalizations for smoking. My mind tried to run from this discomfort, tried to seek distractions. I learned to sit and watch the discomfort. And when I did, incredibly, it wasn’t too bad. My world didn’t end, nor did my mind implode. I was just uncomfortable for a bit, and then life moved on. Then I watched this same process happen with running. I didn’t want to run because it was too hard. My mind made up rationalizations, etc. I found ways to avoid the running. Then I gave in to the discomfort, and it wasn’t hard. I ran, and learned to love it. I repeated this process for changing my diet (many times, actually, because my diet gradually got healthier over time), for getting out of debt and not spending so much, for beating procrastination, for meditation, and so on. Becoming OK with discomfort was one of the single biggest discoveries of my newly changed life. If you can learn to become good at discomfort, your life will have almost no limits. There’s no better skill to learn. 1. Try it in small doses. Sit for 30 seconds in discomfort. If you’re averse to vegetables, try one green veggie. Put it in your mouth, leave it there for 30 seconds. You probably won’t like it much, but that’s OK. You don’t have to have a mouthgasm with every bite. I’ve learned to love veggies. 2. Immerse yourself in discomfort. Are you sad, or angry, or stressed, or frustrated? Instead of avoiding those emotions, immerse yourself in them. Dive into them, accept them, be in them. Same with procrastination — sit with the task you’re running from, and don’t switch to something else. Just be there with that uncomfortable feeling. How does it feel? Are you in deep pain? Are you OK? 3. Seek discomfort. Challenge yourself daily. Find uncomfortable things and do them. Introduce yourself to strangers. Hug a friend. Confess your feelings. Confront someone (with a smile). Say No to people. Go for a run. Try a new healthy dish. 4. Watch yourself run from things. What have you been avoiding because of discomfort? What feelings have you been rejecting? What problems do you have that stem from discomfort? What have you allowed your mind to rationalize? Become aware of this process, and see if you can stop avoiding things, one by one. 5. Learn that discomfort is your friend. It’s not an enemy to fear. It’s actually a good thing — when you’re uncomfortable, you are trying something new, you’re learning, you’re expanding, you’re becoming more than you were before. Discomfort is a sign that you’re growing. Discomfort is the reason I decided to undergo my Year of Living Without— I’m facing the things that make me uncomfortable (and so far, finding that it’s not hard at all). While others stay in their comfort zone, I explore the unknown. And I treasure the experience. Leo Babauta is a simplicity blogger & author. He created Zen Habits, a Top 25 blog (according to TIME magazine) with 200,000 subscribers, mnmlist.com, and the best-selling books focus, The Power of Less, and Zen To Done. Babauta is a former journalist of 18 years, a husband, father of six children, and in 2010 moved from Guam to San Francisco, where he leads a simple life. He started Zen Habits to chronicle and share what he’s learned while changing a number of habits.